Fin Super is an all-purpose, dry-film lubricant and protectant from Interflon USA (www.interflonusa.com). It features the company’s MicPol technology, which reduces additives to microscopic particles that can penetrate surfaces, and electrostatically charges those particles so they adhere better to surfaces. According to the product description, Fin Super is a colorless, dielectric film that is impervious to water and produces no sticky residue once it’s dry. Fin Super has many possible uses, including as a rust preventer and a means of freeing up rusted items; a protectant for blades and electrical connections; and a lubricant for camping equipment, fishing tackle, locks, knobs, hinges, and more. The price of a 300-milliliter can (about 10 ounces) is $27.88 on Amazon.com. A damp RV is ripe for mold and mildew. 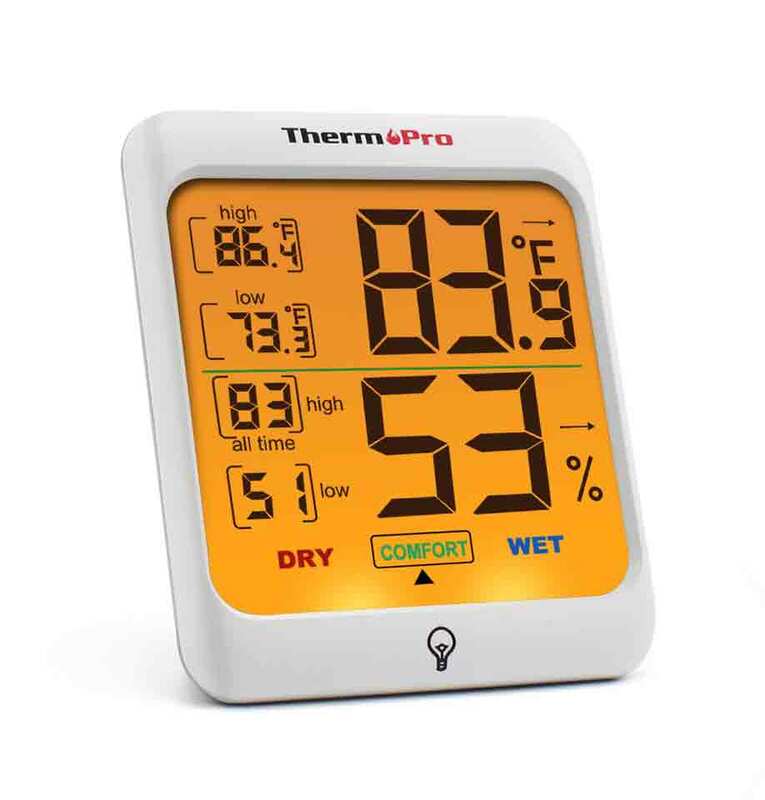 The ThermoPro TP-53 Hygrometer Thermometer Humidity Gauge allows you to keep tabs on the indoor air temperature and humidity, so you can take corrective action as needed. 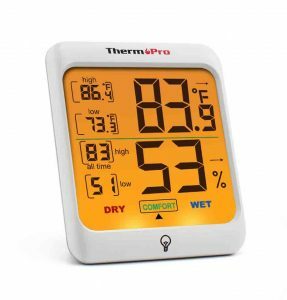 In addition to displaying the current temperature and the humidity level, the digital gauge shows the maximum and minimum humidity and temperature within the past 24 hours, as well as the all-time highs and lows. Indicator arrows show which way temp and humidity are trending. Touching a button activates a yellow backlight on the LCD display. The gauge, which runs on two AAA batteries, is 3.3 inches by 2.8 inches by 0.8 inch. The price is $12.99. The great outdoors is not so great for your RV’s outdoor fabrics. Iosso Water Repellent uses a non-solvent, non-silicone formula to protect WeatherMAX, Sunbrella, and other solution-dyed acrylics against dirt, grime, mildew, bird droppings, and the like. The product also is said to be effective on leather, vinyl, canvas, and laminated materials. 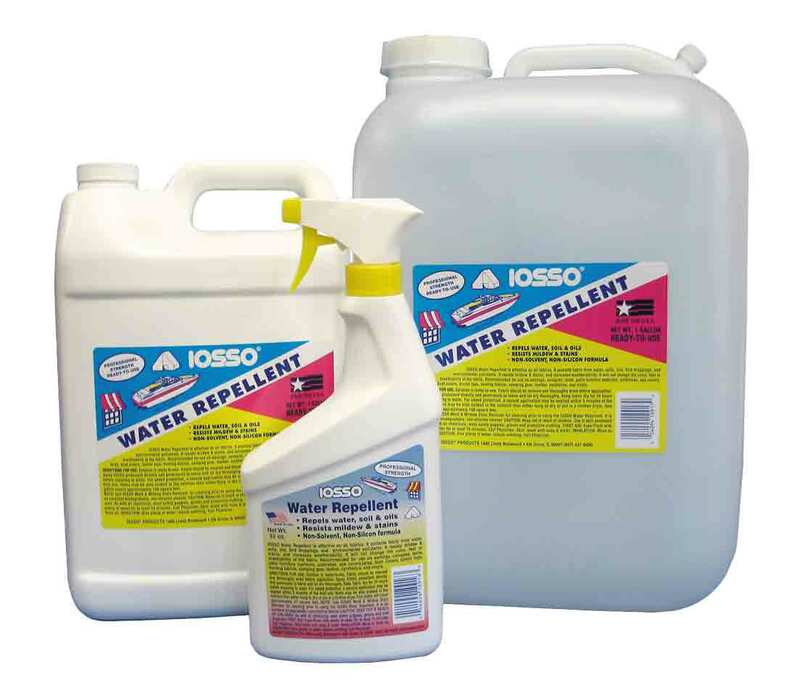 Iosso Water Repellent should be applied generously to clean, dry fabric. A second coat can be applied after five minutes. Fabric can be exposed to water after thoroughly drying for 24 hours. According to the product description, the repellent dries without any residue. A 32-ounce spray bottle covers approximately 37 square feet. The price is $20.95. Other sizes are available. Get a grip, folks. Seriously, be safe and use the handrail on your way into or out of your RV. And if you’ve worn out the rail’s grip (often made of foam), you might consider replacing it with Stromberg Carlson’s Dura Grip, which is made of plastic with a molded rubber handhold. Dura Grip can replace the grip on any 1-inch-diameter rail. 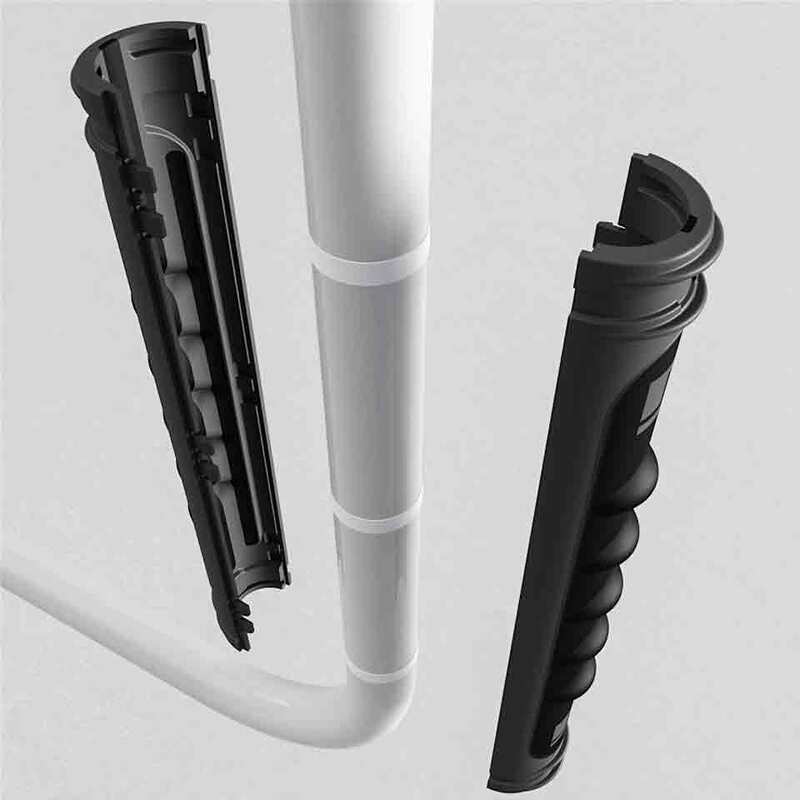 Installation requires no tools; it snaps on and locks into place on any section of rail. The color is black, and according to the product description, Dura Grip will not fade from the sun’s UV rays. The suggested retail price is $19.95. You know to bring along plenty of water when you’re boondocking, right? 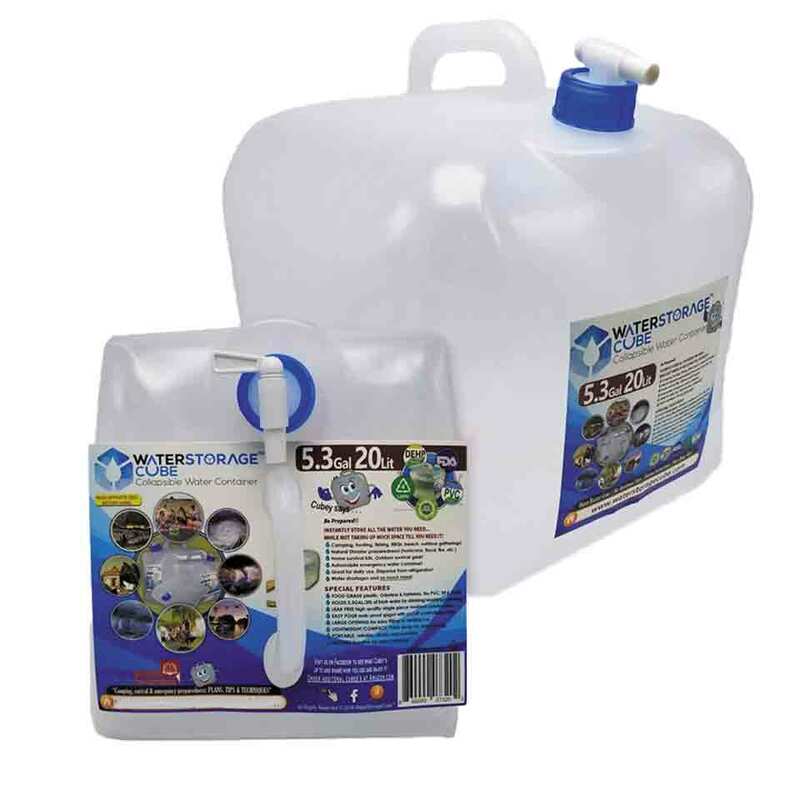 WaterStorageCube’s reusable, collapsible water containers are made of food-grade polyethylene. According to the product description, the containers are free of BPA, PVC, and DEHP, and they impart no odor to the water. The containers have molded handles and an on/off spigot. To see a video that demonstrates how the containers fold for storing, visit https://bit.ly/2QYdJG2. WaterStorageCubes are available in three sizes: 5.3 gallons ($11.64); 2.6 gallons ($9.97), and 1.3 gallons ($7.97). Flies, mosquitoes, and other bugs have itsy bitsy brains, but they’re smart enough to know that when the plastic slider on your RV’s screen door is left open, they can make a beeline (no pun intended) into your living quarters. The R.V. Bug Stop greatly reduces their chance of getting in. With the spring-loaded R.V. Bug Stop installed, you can open the plastic slider on the screen door as usual, and then it automatically closes when you let it go. Installation requires no tools; just peel off film from a strip of tape and attach the R.V. Bug Stop to the horizontal rail under the slider. The product is made of anodized aluminum and fits standard sliders with lengths ranging from 10¾ inches to 13 inches. (That accounts for about 90 percent of RVs, according to the product’s maker.) The price is $24.99. Not every portable air compressor can provide the high air volume and pressure needed to fill the tires on a Type A motorhome. 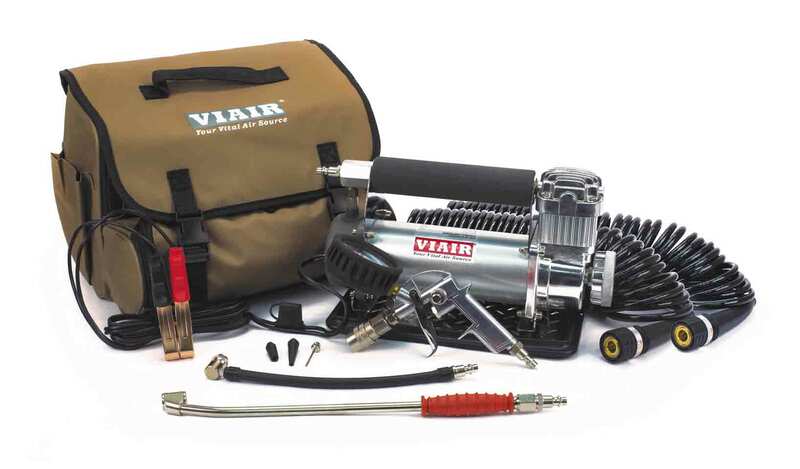 For tires larger than 40 inches, VIAIR recommends its 450P-RV Automatic Compressor. It’s capable of delivering pressures up to 150 psi and can be operated for up to 40 minutes before needing a rest. The automatic shutoff feature allows a user to move from tire to tire without having to turn off the compressor, and to check tire pressure in the middle of a fill. The kit comes with a gas station-style 45-degree extended-reach chuck for dual rear wheels; a 30-foot hose and a 30-foot extension hose; a carry bag; and more. The manufacturer’s suggested retail price is $442.95. Low light from the flickering flames of candles can be quite calming. An RV fire, on the other hand, can be quite stressful, so it’s prudent to avoid anything that actually burns in favor of a safe alternative, such as Vont’s Votive Flameless LED Candles. They are unscented and produce no heat. Each candle is made with wax for a realistic look. A switch turns on the flickering light, which is produced by an LED that is powered by a preinstalled CR2032 battery (included). A fresh battery is said to provide up to 72 hours of glow time. 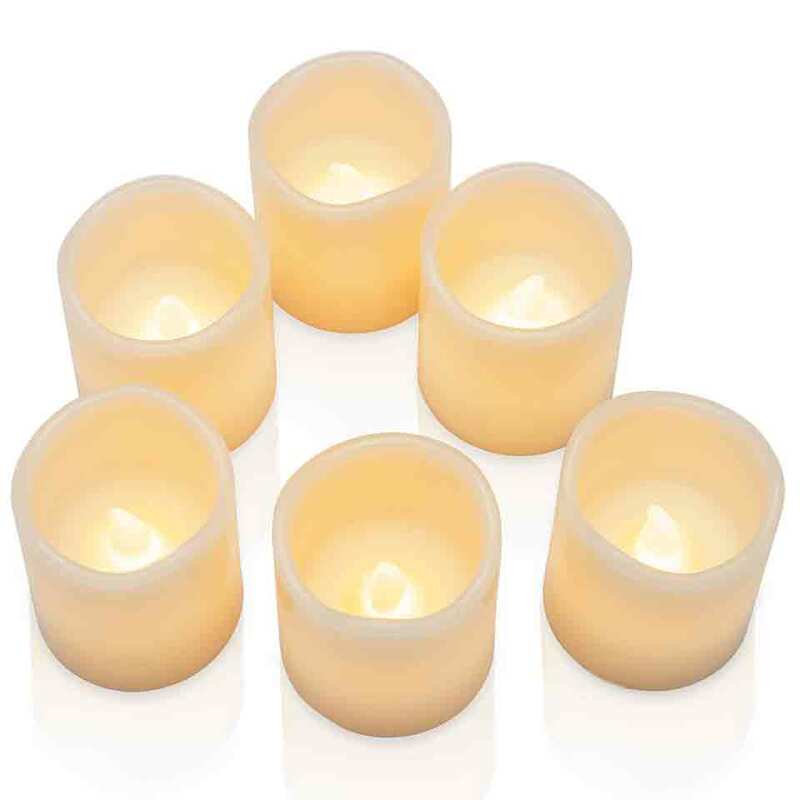 The candles are 2 inches in diameter and 2 inches tall. The price for a package of six is $13.99. 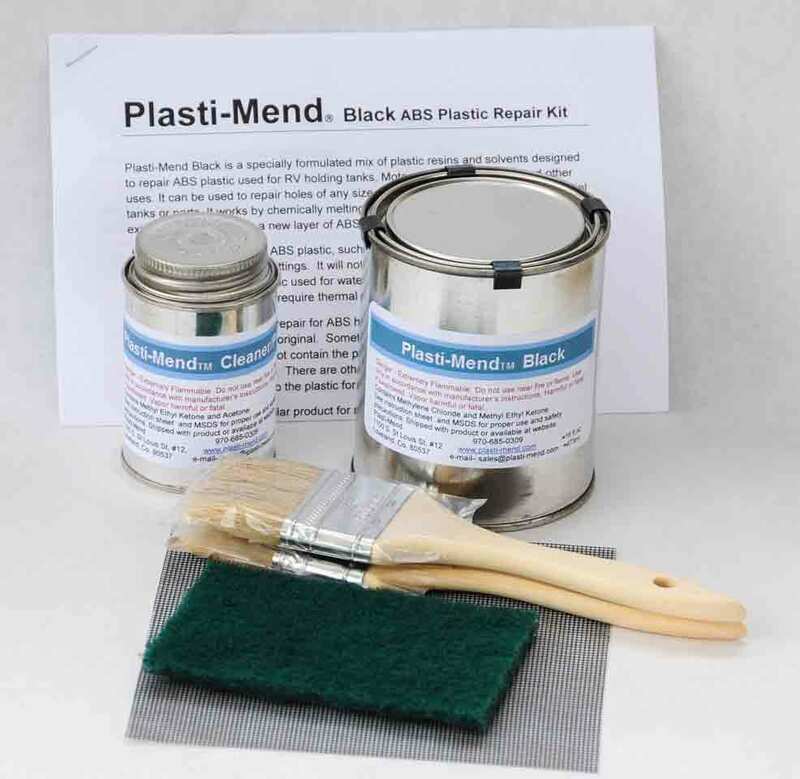 Plasti-Mend Black is a brush-on compound of plastic solvents and resins formulated to make permanent repairs to ABS plastic holding tanks, as well as other items made of solvent-reactive plastics. According to the product description, Plasti-Mend can be used to repair cracks and holes of any size, as well as make larger repairs, such as refastening valve assemblies that have been torn out of a tank. Important: Plasti-Mend will not work on polyethylene plastic. The Plasti-Mend Black Regular Repair Kit contains everything needed to repair a 3-inch to 4-inch hole or an 18-inch crack. It includes a pint of Plasti-Mend Black; a 4-ounce can of cleaner; two 2-inch brushes; a 6-inch-square mesh; a scrubber; and instructions. The price is $38.99. Other sizes and products also are available.